Communication shouldn’t stop when the meeting ends. 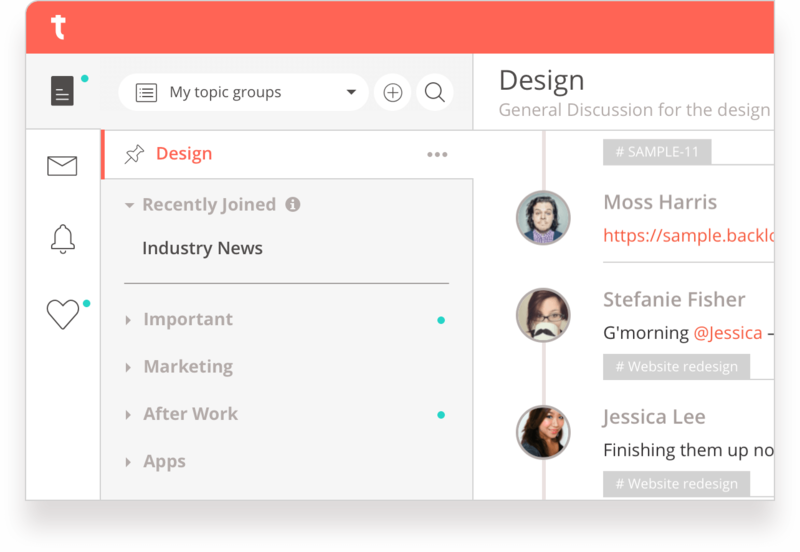 With organized chat Topics, your team can host open-ended conversations that drive projects forward. Nothing kills productivity like having to ask for everything twice. With a living repository of questions, requests, and feedback at your fingertips, you can find the information you need with a simple search. Team cohesion is about more than aligned goals. To inspire engagement, you need an app that’s user-friendly, actionable, and fun with features like mentioning, Likes, third-party cards, and more. A simple, yet savvy feature set for every conversation. Create focused chat Topics that guide the conversation. 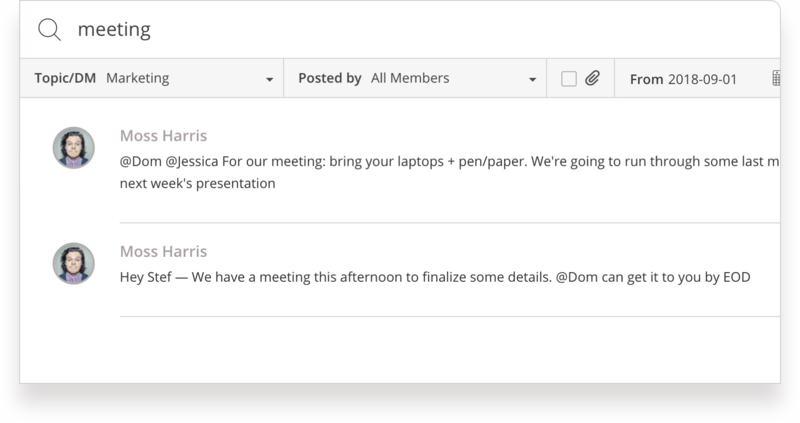 Topic groups, threaded messages and tagged #Talks help keep things organized. Search messages by keyword, sender, or date. Search within Topics or Direct Messages. And explore messages with attachments to find exactly what you’re looking for. 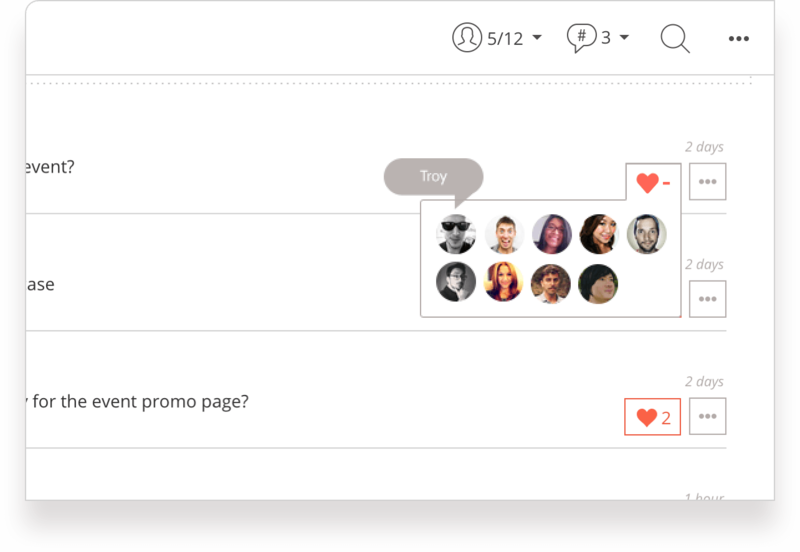 Like messages using the heart button, track Likes you’ve received with Likes Activity, and discover popular messages from your team. Keep it fun with emojis and GIFs using GIPHY supported URLs. Customize your notifications, so you only hear about the messages that are important to you. Decide when you don't want to be contacted with our Do Not Disturb feature. Administrators can manage and set team access privileges. Our two-step login authentication further secures access. Simply drag and drop files (PNG/JPEG/GIF/DOC/PDF) into your message to share it with your team. Our open API and Webhooks are great for developers who want to create bots, make custom tools, and access your team’s Typetalk data. 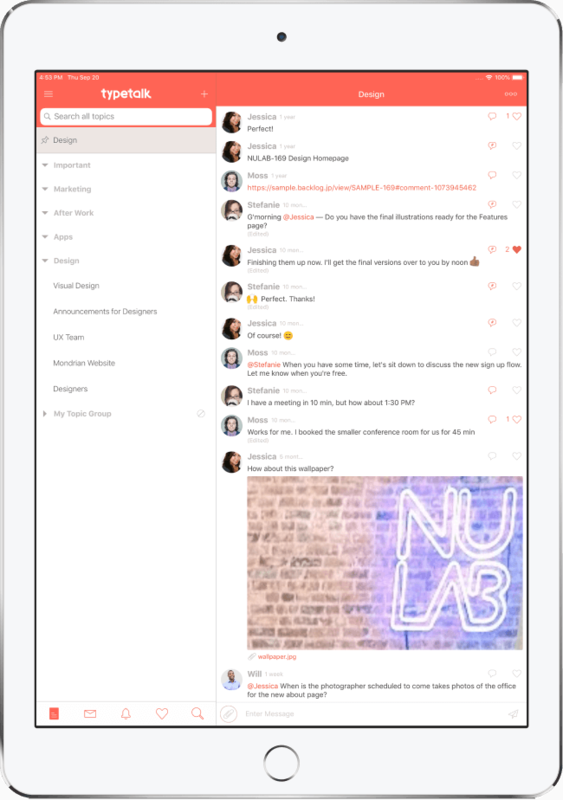 With a Nulab Account, you can sign on to any of Nulab’s collaborative apps with a single username and password. Plus, you can manage your users, security, and billing for each app all in one place. A project-management app for developers and their teams. Rather than regarding Typetalk as a single communication tool, I consider it integral to services like Backlog and Cacoo. By combining it with other tools, the range of uses expands, and we can customize it according to how we work. 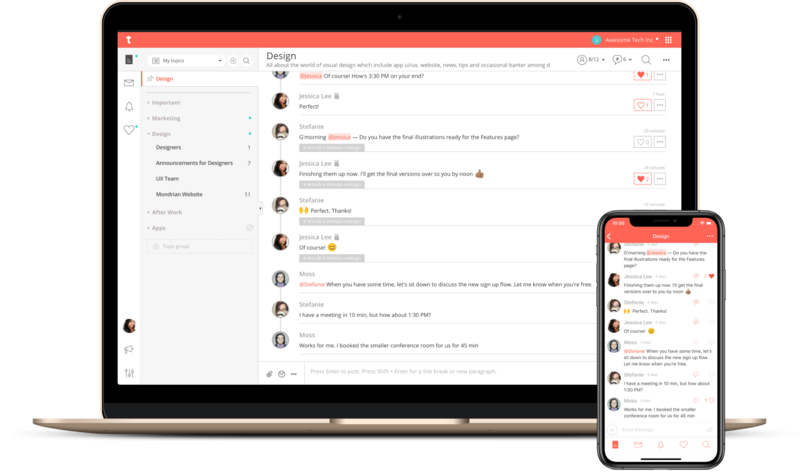 By expanding the use of Typetalk from the IT service department to the entire company, we hope to see the development of an information sharing culture that reforms the way employees work. 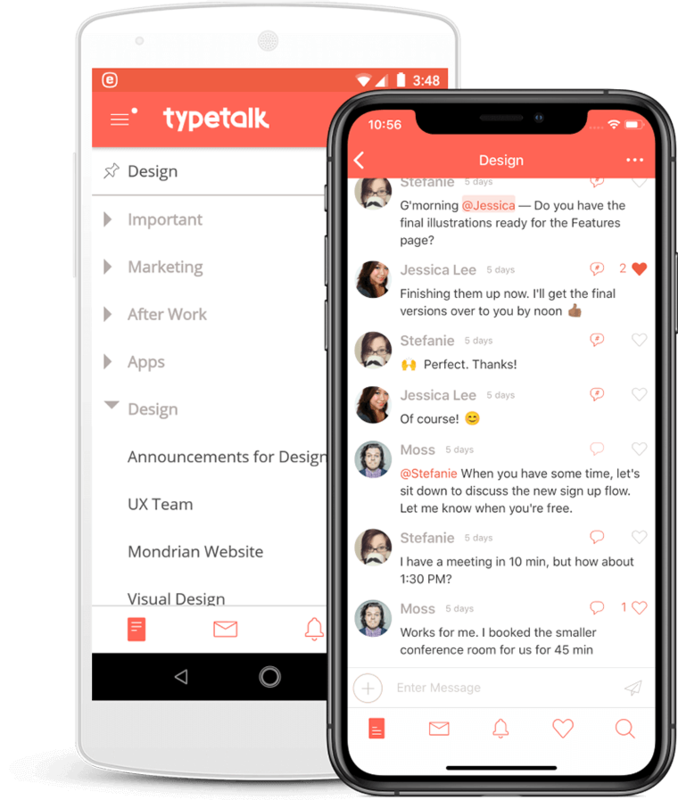 Typetalk is a chat tool that supports not only open communication with the team but also important aspects of the business. Compared to Skype, I feel much more comfortable managing accounts and distinguishing topics. Your discussions securely sync-up with all your devices. Download Typetalk for iOS or Android. Easy to learn, simple to onboard, and totally secure.